Before you put those cardboard boxes out on the curb for recycling, check out how these die-hard Star Wars fans gave their cardboard a whole new life. 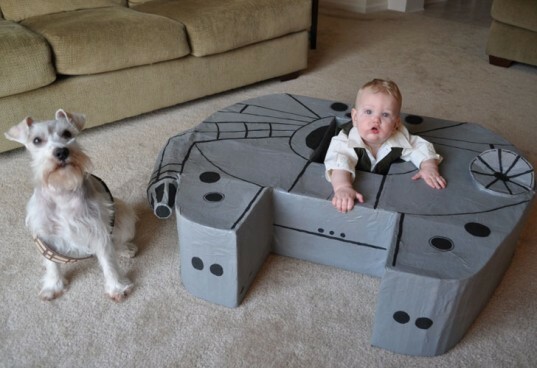 The Karpiuks spent four months crafting this miniature Millennium Falcon, complete with a cockpit for a toddler Han Solo. Click ahead to see how they did it and get inspired to start creating your own cardboard box art!